Enjoy a complete food and beverage experience at our unique restaurants near SFO. Our dining outlets incorporate quick food for the traveler on the go in 3SIXTY Market, 3SIXTY Bistro for those wishing to dine on delicious and creative cuisine, and 3SIXTY Bar for those looking for a more social environment. 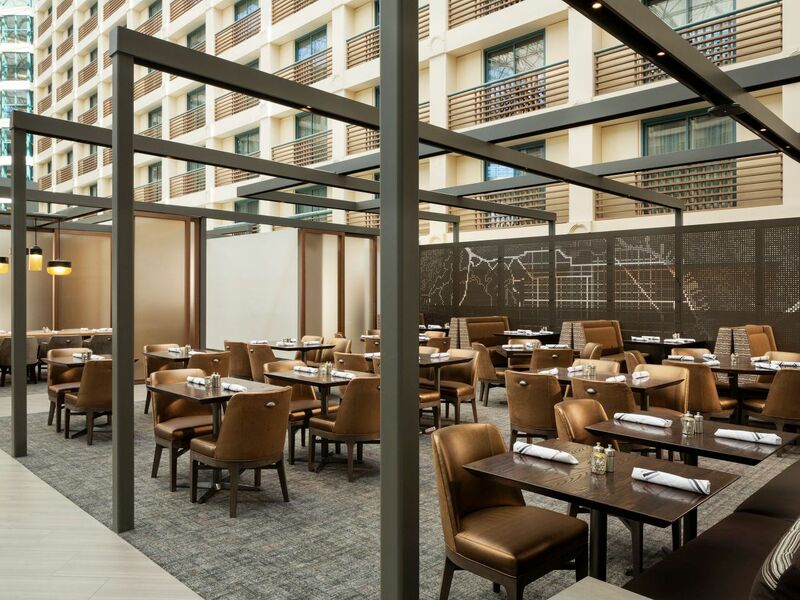 Our full-service restaurant, 3SIXTY, focuses on health-conscious food that blends seasonal ingredients from local Bay Area purveyors. 3SIXTY Bistro offers a diverse culinary and cocktail experience in a contemporary, upscale ambiance. Our farm-to-table restaurant offers changing seasonal menus of creative regional cuisine sourced from Northern California farmers and artisans--from beer to dairy and produce--who share our focus on sustainability. All Day Dining: Daily, 11:00 a.m.-10:00 p.m.
Late Night Menu: Daily, 10 p.m.-12 a.m.
Easter Champagne Brunch: April 21, 10:00 a.m. – 3:00 p.m.
Our expansive bar is the heart of the 3SIXTY experience, featuring a wide selection of handcrafted cocktails, local and regional craft beers, wines and elixirs. 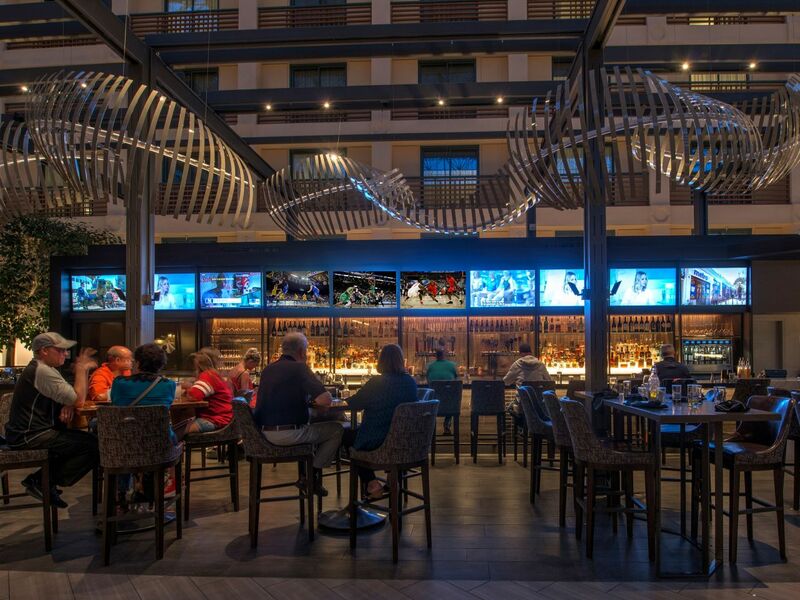 Catch a baseball or football game on one of the 10 large TV screens while enjoying delicious foods from our classic bar menu, like chicken wings, crab cakes and our 3SIXTY Burger made from grass-fed beef. 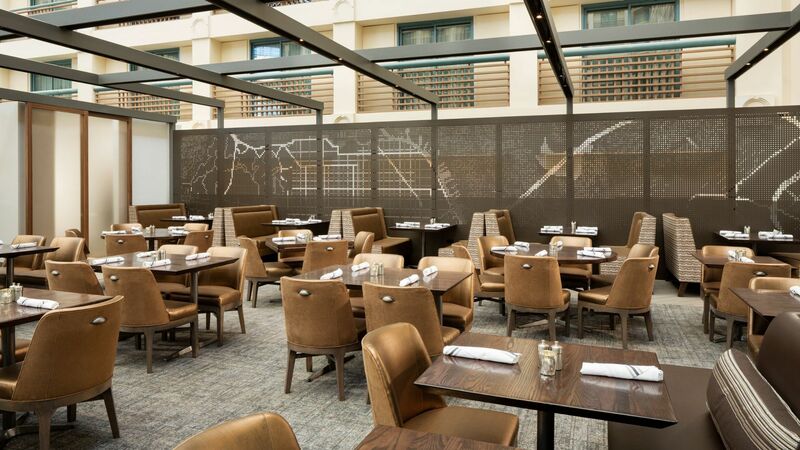 The 3SIXTY Market gives guests the freedom to create their own dining experience any time of day. 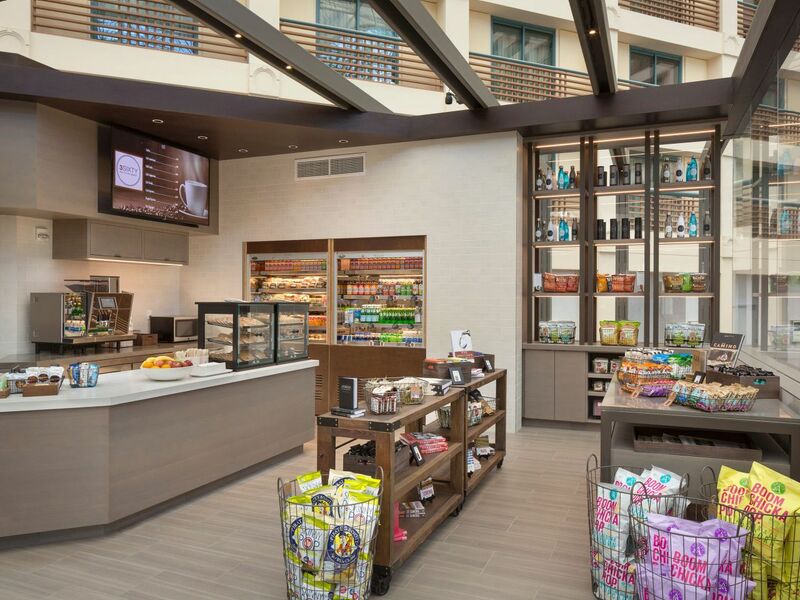 Grab a muffin and latte at the market on your way to a morning meeting, swing by for a healthy grab-and-go lunch, or order a dinner up to your room for some much-needed rest and relaxation.